Home Parenting Kids Neonatal Abstinence Syndrome: Are Women in Recovery at Risk? The opioid use epidemic is a pressing concern across the United States, with over 140 overdose deaths per day nationally. What many don’t realize, however, is that opioid abuse is creating significant problems for our pediatric healthcare system, specifically neonatal intensive care units (NICUs), and for the foster care and special education systems. Women who use opioids while pregnant, or even take authorized addiction treatment medications, such as suboxone or methadone, can give birth to infants with neonatal abstinence syndrome. Neonatal abstinence syndrome is a collection of symptoms sometimes seen in infants born with opioid compounds in their system. This can happen when the mother is actively addicted to such medications during pregnancy, or if she is undergoing medication-assisted treatment for addiction. Symptoms of neonatal abstinence syndrome depend on the amount and type of drugs used and the individual infant. Those infants that are minimally impacted tend to suffer from increased fussiness and crying, difficulty sleeping, and sneezing, and many have a distinctive high-pitched cry. More severely impacted infants may experience tremors, seizures, vomiting, fever, feeding problems, and difficulty breathing. Essentially, these infants experience the same symptoms of opioid withdrawal as an adult who stopped using these drugs. In addition to experiencing withdrawal, there is ongoing concern that some infants born with neonatal abstinence syndrome may experience cognitive and behavioral issues as they get older. Long-term studies have been difficult and many are just getting underway, but so far Seattle Children’s Hospital reports a high frequency of hearing and visual disabilities, impulsivity and hyperactivity, poor memory and decreased verbal skills as common outcomes. Children raised by non-drug using adults tend to fare better, but it may be impossible to reverse some of the neurological damage caused by such drug use. Treating neonatal abstinence syndrome begins before birth and can take several different forms. First, it’s critical that prenatal care providers work to get mothers struggling with opioid addiction into some form of treatment. Though methadone, buprenorphine, and suboxone can still cause neonatal abstinence syndrome in infants, medication-assisted treatment has proven effective in helping individuals stop using drugs and enter recovery. It’s important for doctors to recognize that providing these substances to pregnant women – or to anyone struggling with addiction – is not just trading one addiction for another, but rather actively preventing the use of a dangerous substance. Once children are born, there are a number of approaches to treating neonatal abstinence syndrome, depending on the severity of symptoms. Many infants with the condition require intravenous fluids and high calorie formula to help them gain weight and remain hydrated and swaddling can help counter the increased fussiness and irritability seen in these infants. Those babies with the most severe cases of neonatal abstinence syndrome may also be given medication to ease their symptoms. The majority of infants with neonatal abstinence syndrome recover from the acute symptoms within 5 to 30 days of birth, but what happens after they leave the hospital? If the child’s mother is found to have been using opioids during pregnancy, rather than managing their addiction with a medication like buprenorphine, then the infant may be taken and put into foster care or custody may be given to the father or another relative, if they can provide suitable care. In some areas of the country, foster care services are overwhelmed by the number of children being placed because their parents are suffering from opioid addiction. In other cases, specifically when the mother has shown success in a medication-assisted treatment program, infants are sent home and mothers are generally provided with supplementary social services, such as early intervention and parenting skills classes. Many families thrive under these circumstances as mothers find new motivation to remain sober after the birth of their child. As we continue to struggle with the opioid epidemic as a country, doctors need greater education about treating pregnant women struggling with opioid addiction or in recovery. Currently, there is a widespread misconception that women should be removed from addiction-management medications during pregnancy due to the risk of neonatal abstinence syndrome. In reality, the risks posed by such treatment are far less than if women were to resume using illicit drugs during pregnancy. Care providers also need to develop appropriate prenatal care and post-delivery protocols for high-risk women. 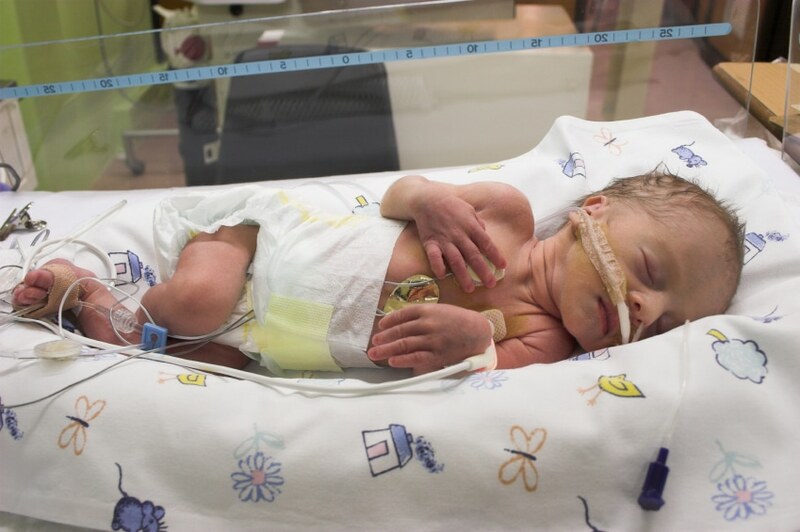 As Boston Medical Center, for example, doctors are stepping away from the overuse of NICU care for infants with neonatal abstinence syndrome and instead encouraging mothers to hold and comfort their babies throughout the stay, keeping families together. This practice has also helped the hospital reduce the use of medication for infants in withdrawal and speed their recovery and discharge. Women with histories of drug often experience high risk pregnancies and have lower levels of prenatal care than their peers. By creating special outreach programs, encouraging natural forms of bonding, and boosting the availability of medication-assisted treatment for all drug users, however, we can reduce the harm represented by neonatal abstinence syndrome and give our children a brighter future.